This internship with the U.S. Senate has really opened my eyes to the inner workings of the Congress, especially when it comes to how the Senate operates on a daily basis, as well as how each individual Senator, along with his/her staff, works together to pass various pieces of legislation or simply interact with constituents. I really believe that working in this fast based, research oriented environment has adequately prepared me for working in my field of study. My Liberal Arts skills were consistently applied during my internship. 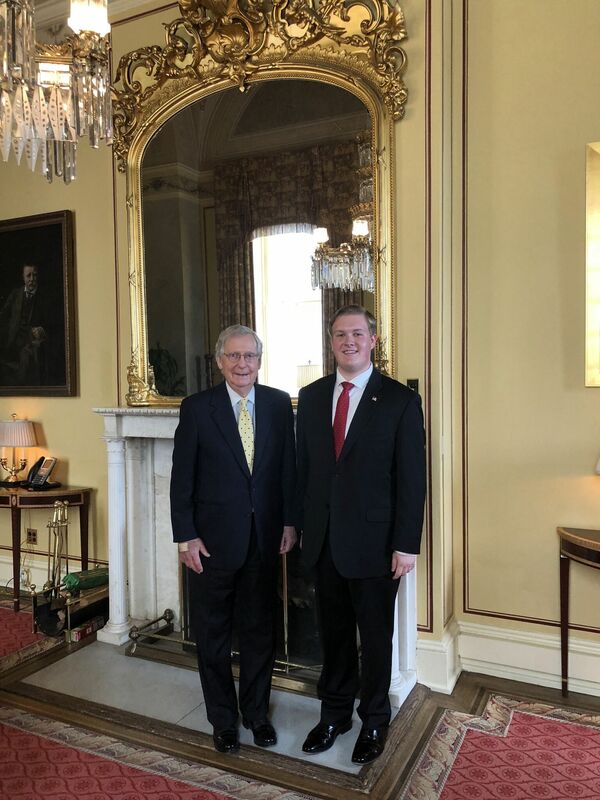 The fast paced, research oriented environment was perfect for me to use the skills that Purdue taught me, and use those skills in my day to day activities with the U.S. Senate. My days were almost never the same. We worked from 9a-5:30p every day, and it really depended what happened to be going on politically those days. Some days I would answer phones, others give tours of the Capitol, attend meetings or briefings, take notes, help meet with constituents or organizations, do research for various pieces of legislation, track amendments on various bills, or scan the news for certain articles for staff members to utilize in their various projects. The most challenging part of my internship was really when it first began. We were literally thrown 'under the bus' so-to-speak, when it came to what we would be working on. We pretty much had to learn how the office functioned fast, and what each staff member needed to be done. We also started working on what the past interns were doing. The days were also affected by the many political ups and downs that happened to occur. The most exciting part of my role would really be how much I assisted the Legislative or Legal Staff in their various projects, helping them prepare the Senator for meetings, briefings, or hearings; as well as interacting with constituents on a more personal level, whether that be on the phone or by giving a family from Indiana a tour of the U.S. Capitol. Honestly, the thing that most surprised me about my internship was the amount of people and work that is done behind the scenes for a Senator and his/her office to function appropriately. There's a lot more than meets the eye when it comes to D.C. The most meaningful experience I had as an intern would really be the relationships that I formed with my fellow interns, the staff, and the Senator. I hope to stay in touch with them in the future.